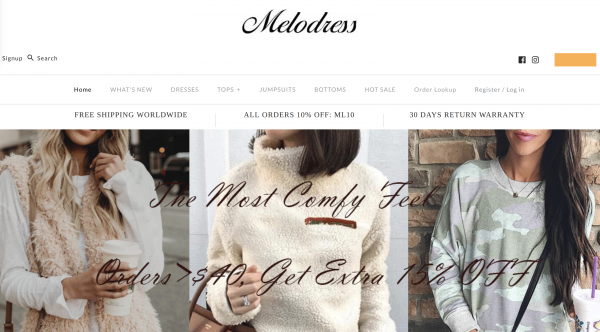 Ads on social media for Melodress online store began appearing. No email or invoice or receipt for purchases made. Upon further investigation, other websites began appearing with same clothes/pricing. (I.e. bohmoi.com ). If you look at their Instagram pages - both display exact same clothing and prices for sale. Origantor responds in broken English. Comments from other Americans appear to show that many people have been scammed out of money from this “online store”. Placed an order over a month ago. It never arrived. I was sent tracking info that was obviously fake because it sent me to a Chinese website which gave me an error message stating NO TRACKING INFO FOUND. Tried to contact them. No response. I hope others see these posts before ordering from them and having the same issues. I placed an order on melodress website for 2 tops. It took almost a month for the items to arrive. I never received a confirmation number. When I received the items I noticed the items came from China(I didn't know that when placing the order). The tops are very poorly made, very thin material, way too small & defective. I attempted to email customer service but my email would not go through. I attempted to go on the website but now it can't be found. Now I'm stuck with items that can't be worn & I'm out over $50. While on FB an advertisement for Melodress appeared on my timeline - the item displayed was a multi colored cardigan. I followed the link to the Melodress website where I found the item with 6 pictures displayed of the product. Item description indicated that it was a knitted cardigan and the pictures indicated a soft knitted long cardigan. Reviews were all positive - and company seemed to be a standard online retailer - cardigan was priced at $45 (not too cheap - expecting a decent product) and free shipping was offered. Item was set to arrive withing 8-10 days - and I started getting concerned when it was taking a little longer than expected. Finally the product arrived and I immediately realized the issue - item arrives straight from China with a value of less than $5 on the declaration documents! As soon as I opened the item it was clear that this was a bait and switch - false advertising - the product is awful - seams are stitched inside out - fabric is a nylon blend not a knitted product as advertised. I contacted customer service immediately who asked for evidence of packaging and the product whcih was supplied. Constance (Customer service) apologized and stated that they would give me a coupon code which I declined and indicated that I would like to send back the awful product for a refund. 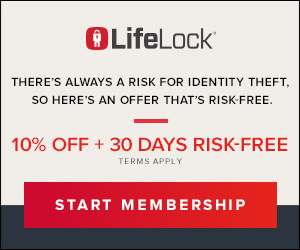 At this time I was advised that they would give me a 15% coupon code - a code that is available to anyone visiting their website - and that they will not honor their return policy. Do not order from this company - clearly a scam - very unfortunate that foreign companies can operate like this with impunity. As consumers - companies operating here are held to a standard and we are lulled into a false sense of security when purchasing products online. As of today looks like the website is down - I am sure they are just re branding and will be up with a new name in no time - buyer beware! The products were all different color or fabric quality, color and shoes were totally different pair than pictures. When I tried to start return the site was unavailable. Message said, "your orders will be filled site, System upgrade"
I ordered 3 items from MeloDress on a Instagram. After several weeks I emailed them to see what’s going, that i did t received my items, they responded with a tracking number that I didn’t recognize. They finally came from China, with no receipt or return information. When I opened the bag, the clothing was cheap, all misshapen and i wanted my money back. The Instagram site says “fast delivery” and “easy returns”, neither of which are true. When I asked to return, they responded with “maybe you can resell the items or pass them on to a friend”. Then they said it would cost way too much to ship back. They remove all the comments from angry people on FB and on Instagram. DO NOT BUY FROM MELODRESS! !